Running a marathon is impressive. Running a marathon in 4 hours, 15 minutes is outstanding. Running one when you’re Kathryn Cavallaro is miraculous. 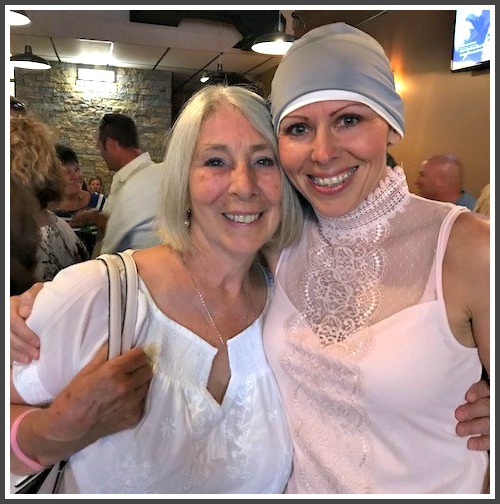 Last month, when Kathryn — the daughter of Westporter Fiona Hodgson — crossed the finish line of the New England Green River Marathon, from Vermont into Massachusetts, she was just out of treatment for breast cancer. In fact, she’s still doing chemo. But the 38-year-old busy professional — and mother of 3 — did not let her year of hell (including 2 very extensive surgeries) slow her down. 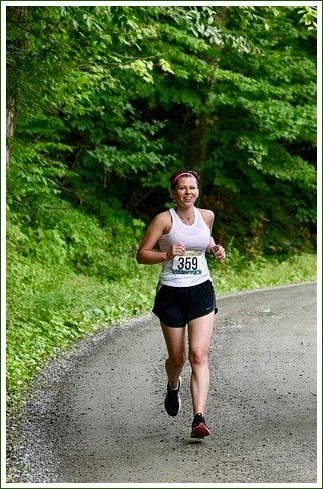 For Kathryn, running is a relaxing chance to be part of the natural world. At 5 a.m., she says, she’s alone — except for other runners, and deer. Kathryn trains in many places. Among her favorites: Westport, particularly Compo Beach. When she was diagnosed with cancer, many people told Kathryn that her life would never be the same. “Get used to the ‘new normal,'” they said. Yet despite major surgery in June, she began training for August’s marathon. Also on the (26.2 mile) horizon: running the St. Jude’s Marathon in December. It’s a fundraiser for children’s cancer research. Fiona Hodgson and her daughter, Kathryn Cavallaro. This entry was posted in People, Sports and tagged breast cancer, Fiona Hodgson, Kathryn Cavallaro, New England Green River Marathon. Bookmark the permalink. I don’t know you except from the amazing email . But I praise & admire you ! bless You & Your Family and stay strong ! Beautiful inside and out. God bless you. Kathryn, sign me up to help with anything! As a survivor, a runner and a friend…. they could not have shinned the light on a more inspiring woman! Thank you Dan Woog for seeing her for exactly who she is- amazing !